Lorain County Public Health (LCPH) is committed to increasing access to healthy eating and active living opportunities to prevent chronic disease. In 2017, LCPH offered grants to Lorain County community organizations and collaborative groups to help build healthy communities where the healthy choice is the easy choice. The Healthy Places, Healthy People Grants provide an opportunity for communities to develop meaningful partnerships while strategically enhancing their physical environment. Community collaboration is an important part of this grant application. Proposed projects must include a representative from one primary coordinator/fiscal agent, and at least two additional coordinators representing different agencies, organizations, worksites, schools, faith-based groups, or youth groups. Lorain County Public Health may not be used as a partner in the project. LCPH is not accepting applications at this time. Please check back frequently for updates on our next grant cycle. Call 440-322-6367 with questions and ask for the Health Promotion and Chronic Disease Prevention division. 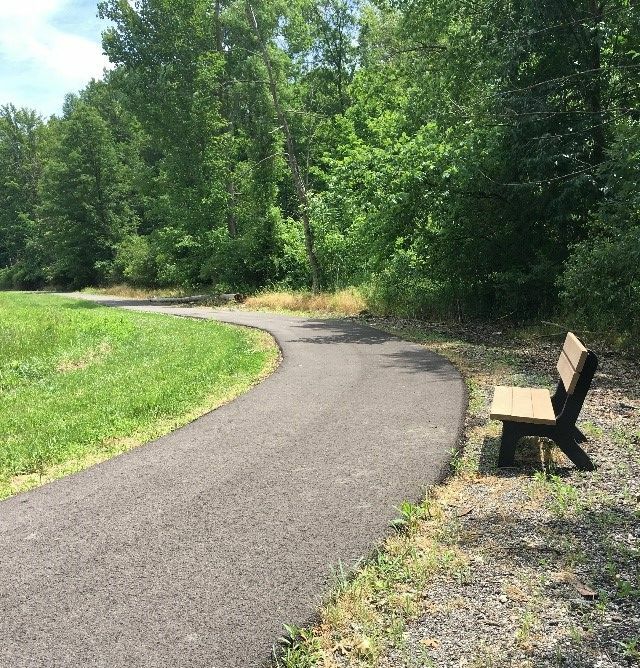 Elyria Township enhanced the Rowland Nature Preserve, a central location that many nearby residents can reach by foot or by bike. First, they updated their existing walking trails so that runners and walkers of all ages and abilities can now utilize the improved trail that circles their Township Lake. A new handicap accessible playground was also built to complement the handicap accessible pavilion that already existed at the Preserve. Children of all ages and abilities, and their families can now safely play outdoors. The City of Oberlin impacted health on multiple levels through their two part project. First, the hydration stations strategically placed throughout the city, provide residents with the healthiest option, water! The hydration stations also positively impact the environment by eliminating some use of disposable water bottles. 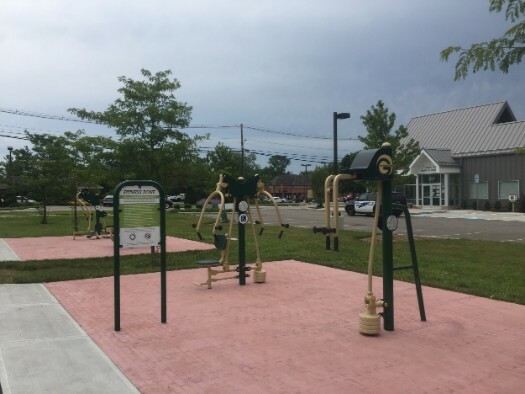 Finally, the outdoor exercise equipment provides Oberlin residents with a free option to improve their physical activity in both a safe and social place. Together, the City of Oberlin will continue to promote these improvements through fitness programs and promotional messaging. Lorain County Metro Parks already had initial plans for the 97 acres of the Royal Oaks Park to feature a basic trail system. Their plans were able to expand to include fitness equipment suitable for all abilities, and a hydration station for Adults, children, and even pets. In its debut season, Royal Oaks saw more than 15,000 visitors, including Grafton residents and visitors from outside of Lorain County. 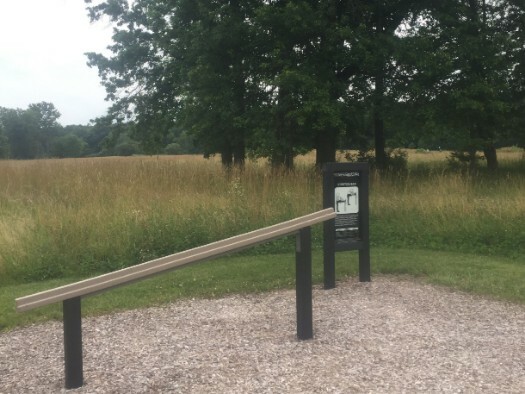 Walkers and runners utilize both the trails and the fitness equipment, and Lorain County Metro Parks has plans to continue enhancing the park-goers experience through extended trails and additional equipment. Midview Local Schools identified a need for safe places to walk in the surrounding communities. 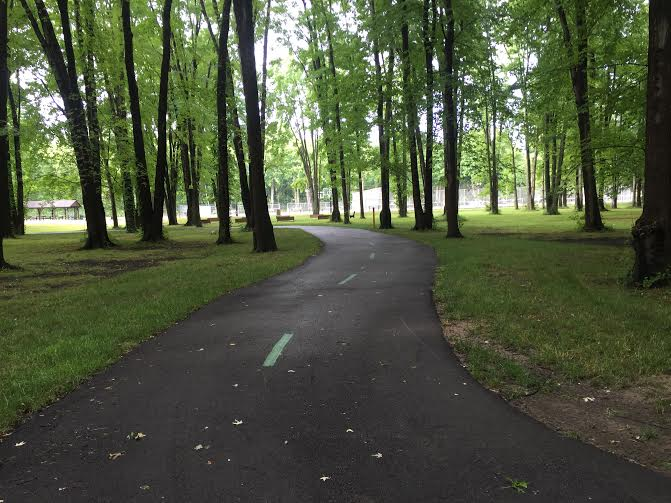 The half-mile path on Midview’s campus was completed in August 2015. Between August-November, it was estimated that over 1,000 people had used the new path. This includes Midview students, staff, and community members. 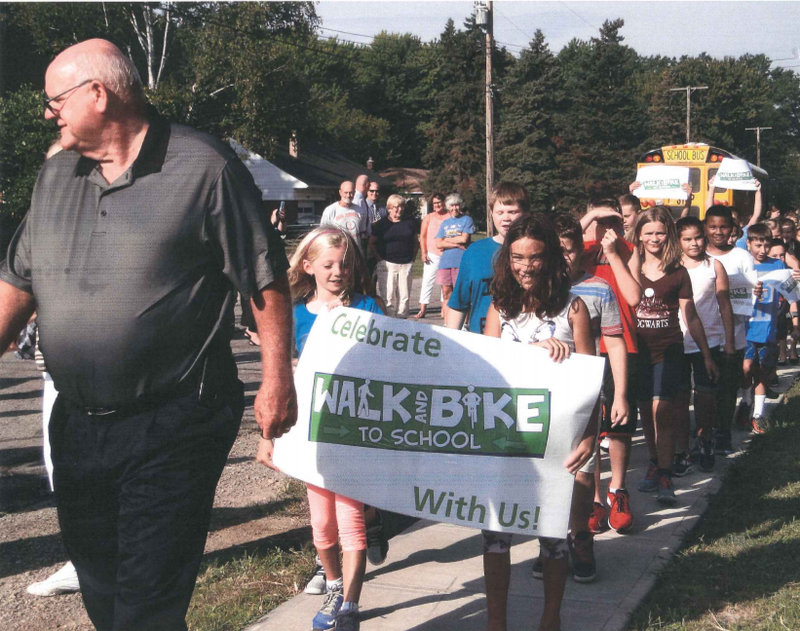 In September the walking path was incorporated into a Midview Local Schools Employee Challenge. In October the entire community was invited to “Trick or Treat” along the path. The path is also incorporated regularly into class curriculum in all subjects. For quite a few years, LaGrange Community Park has been a popular place to catch a softball game. Only in recent years did the Park Board decide to complete a trail around the park to provide additional opportunity for recreation. Through the mini-grant, an additional 1.25 miles of trail was added to complete the large walking loop. Since the addition trail usage has tripled. The Storybook Stroll stations installed in collaboration with the Elyria Public Library System are a big hit with families in the area. The path at Penfield Recreation Park was rarely used. Many residents felt uncomfortable walking through the heavily wooded area. To address that issue, the Penfield Park Board added a 3/8 mile trail in a highly visible part of the park. Since the addition, trail usage has increased. Future plans include updated fitness stations and signage, as well as Storybook Stroll stations in collaboration with the Elyria Public Library System. North Ridgeville city schools were awarded funding to install new hydration stations at their school to increase water intake. After the installation of hydration stations and a robust Water First for Thirst awareness campaign, students and staff decreased their sugar-sweetened beverage consumption by 23%. Columbia Township faces challenges when it comes to accessing to safe spaces for biking, walking, and running. 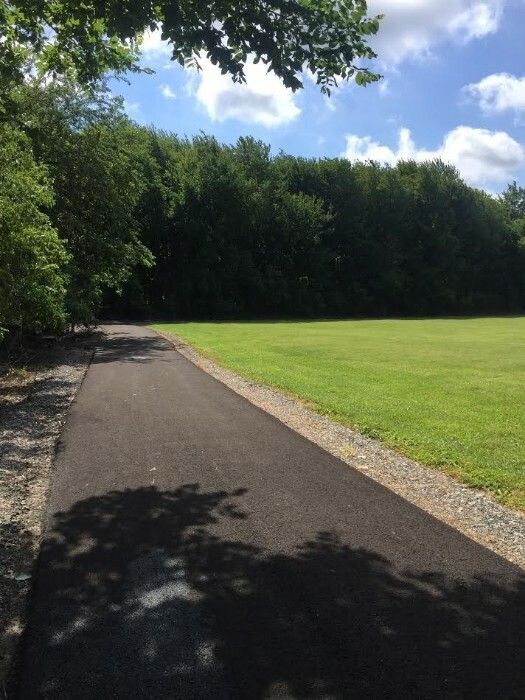 Upon receiving funding from Lorain County Public Health, Columbia Township Park was able to expand the existing walking trail to .78 miles which allows for a safe walking routes to the playground and Columbia Branch Library. 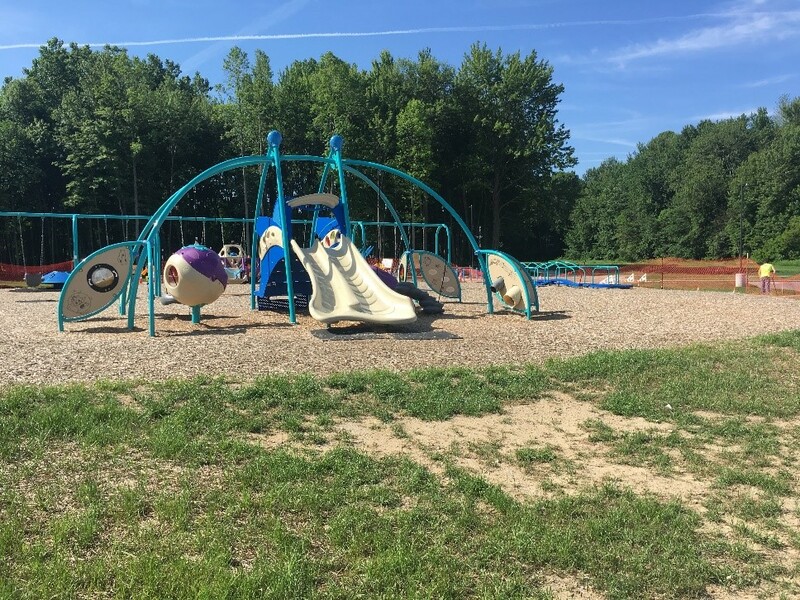 Residents are extremely positive about the updates at Columbia Township Park and are excited about future plans are to further enhance the park. No matter the day, visitors of all ages and abilities can be seen using the trail, especially because it is handicap accessible and close to the Middle School. Columbia Township continues to host events at the park, one of the bigger activities being a “Walk and Read” program, where residents engage in a book club and have the book discussion while walking on the trail. e Grant, Keystone Schools added a community weight room in the high school building. During the school day, the weight room is used frequently for physical education classes and athletic team practices. In the evenings, the weight room is open to the general public Monday through Thursdays from 5-7pm at no cost. Aurensen Road in North Ridgeville is located near the town center and connects to City Hall, the Police Station, Public Library, Safetyville, St. Peter’s Church Schools, and South Central Park. Sidewalk improvements on Aurensen Road increased pedestrian safety, supported the Safe Routes to School program, and increased opportunities for community members who choose to walk to those nearby locations. With the construction of the Cross Creek Subdivision, an additional 65 homes will have access to the sidewalk and the usage is expected to increase by 100 persons per month. The City is committed to creating a walkable city for the residents and is planning to collaborate with additional agencies to construct sidewalks along Avon Belden Road, Center Ridge Road, and Lear Nagle Road. The North Ridgeville Senior Center focuses on keeping older adults healthy and safe so they can live their life to the fullest. With the funding through a LCPH mini-grant, North Ridgeville Senior Center was able to install an adult fitness station, which includes exercise equipment that is specially designed to improve the user’s balance, coordination, and strength. To encourage seniors to utilize the adult fitness station, the North Ridgeville Senior Center has worked with outside agencies and organizations to host Walking and Balancing Challenges, four-week classes which incorporates indoor and outdoor exercises that are designed to improve balance. For North Ridgeville senior, Jane Hughes, being able to live independently is a strong motivation for her to stay active and healthy. As Jane wants to continue enjoying the simple pleasure in life, she knows that it is important for her to be able to carry out everyday life skills and follow her normal routine, which includes taking the stairs every day. 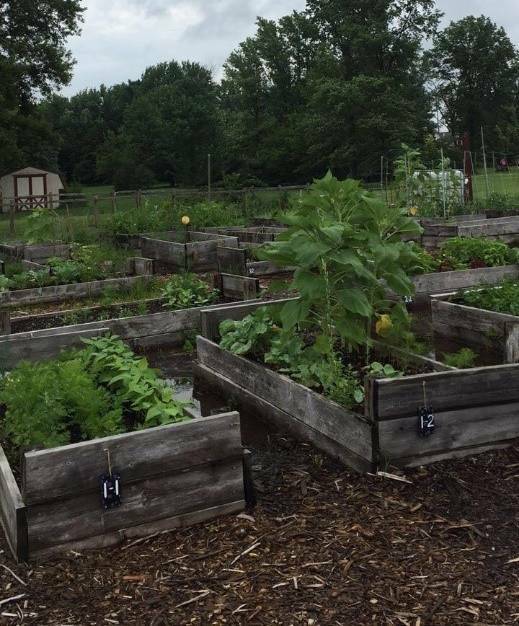 In Oberlin, Legion Field Community Garden, which is owned and operated by Zion Community Development Corporation, has provided a garden space for Lorain County residents to grow their own fruits and vegetables. The garden also donates a portion of their produce directly to Oberlin Community Service’s food pantry. With funding from LCPH, Zion Community Development Corporation was able to improve the infrastructure at Legion Field Community Garden by building a fence, pergola, and adding a water station for washing the fruits and vegetables. LCPH funding acted as a catalyst at Ferndale Park, leading to more opportunities for improvements, other funding streams, and additional activities. Enhancements at Ferndale Park include a hydration station, informational kiosks, a skate park, and a trail extension. These new and exciting amenities have positively impacted the park’s attendance. The City is working with the Lorain County Metro Parks to extend the existing trail through the nearby Metro Park and develop a Safe Routes to School. 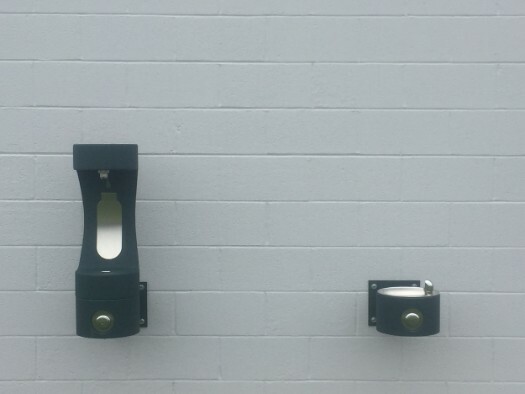 To allow the students, faculty, and staff at Sheffield Lake Schools to have easier access to stay hydrated throughout the day, hydration stations were installed with the help of a mini-grant from Lorain County Public Health. 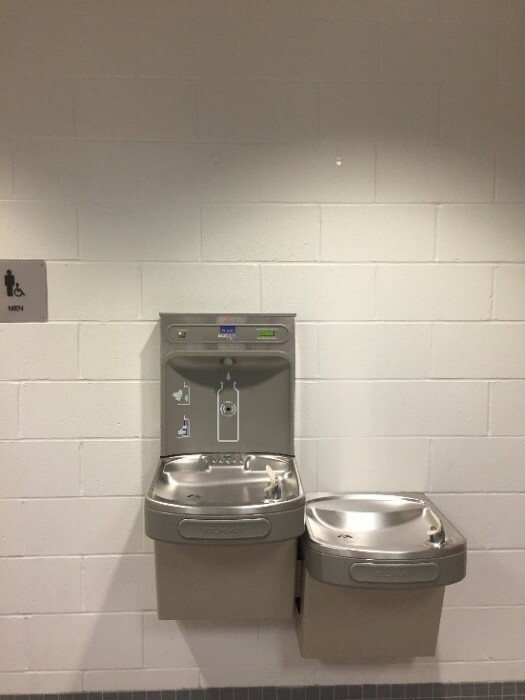 When applying for the grant, the plan was to add two hydration stations to the high school, but after positive feedback and excitement, the district was able to add 7 more throughout the entire school district. It is estimated that approximately 10,000 residents including students, employees, and residents have utilized the hydration stations. To promote the new stations, the students received free reusable water bottles that could be filled every time visiting the hydration station. To promote the stations, flyers and posters were distributed and hung throughout the schools to encourage drinking more water throughout the school day. 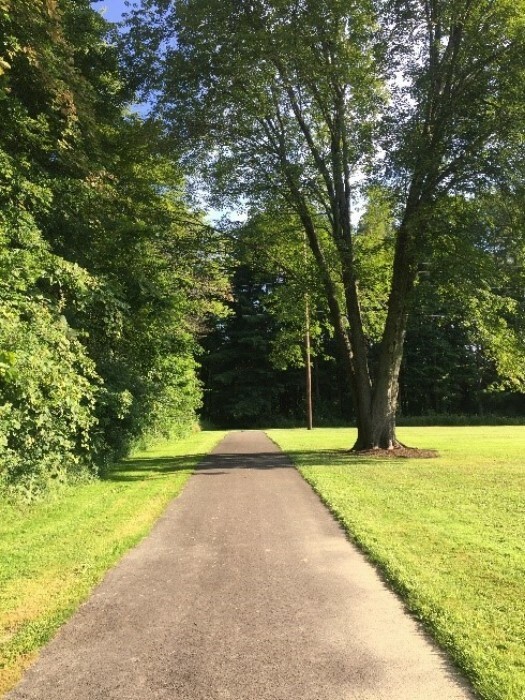 In 2016, South Amherst Community Park extended their existing walking trail to 8/10 of a mile using gravel. In 2017, after receiving an additional grant from LCPH, the park was able to fully pave the trail. From observations, it is estimated that attendance has increased 15% after the paving. Small incremental changes, such as the installation of an outdoor water fountain, continue to improve the physical environment of the park and keep residents coming back. South Amherst Community Park continues to promote upgrades at the park. 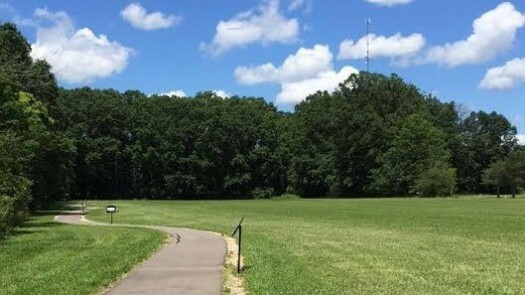 In June of 2016, the park hosted its first annual Corn Hole Tournament and in 2017, the Park hosted a “Fit Walks Summer Series” outdoor walking event as well. 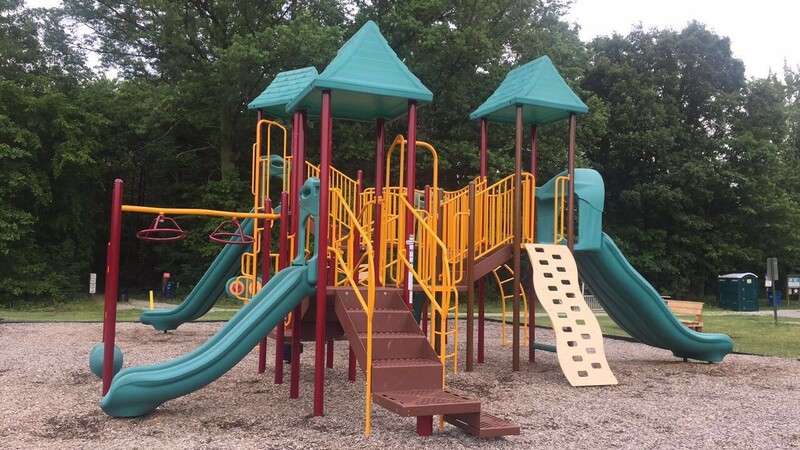 The City of Avon created an inclusive playground with equipment for children of all ages and abilities. Since installation, the park has had nearly 10,000 visitors. The City of Avon continues to encourage children to play outside and be physically active during warmer months. Additions have already been made to the playground and surrounding area, with even more planned for the near future. So far, a walking path that surrounds the park, a harmony circle where children can play music, a story book path along parts of the walking path along with a story time sitting area, and a state of the art fitness wall have been installed in the park. 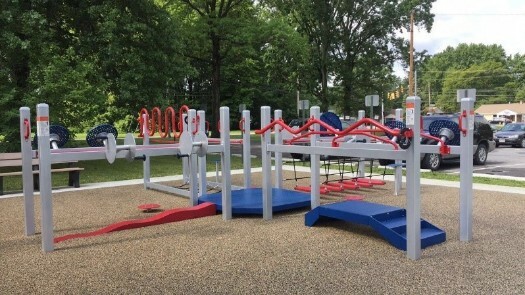 The additions were made possible by the multiple collaborations formed by the City of Avon including: donations from the Lion’s Club, Park Foundation, and Cleveland Clinic Foundation, creation of possible programs associated with the fitness wall with the Cleveland Clinic Foundation, and a strong partnership with the Avon Public Library. 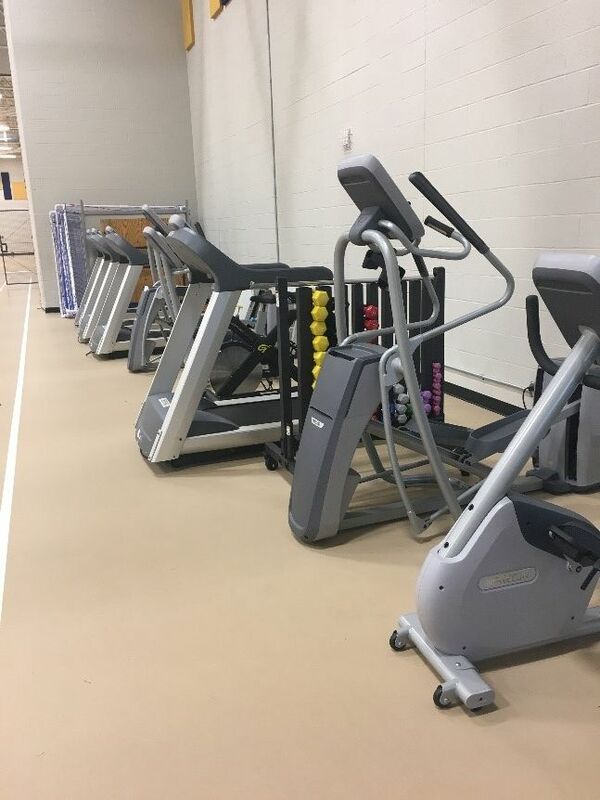 North Ridgeville City Schools improved their community gymnasium through the addition of fitness equipment. The school district has been able to offer its employees and community members a place to stay physically active- something that was difficult to achieve in the past due to lack of equipment and space. In addition to the equipment in the community gym, this project also includes creating a community walking group, Healthy Strides. Healthy Strides hosts regular indoor walking during winter months and outdoor walking events in the summer. Indoor walkers able to continue their physical activity in the winter in the Community Gym where they have access to the track as well as the treadmills and other equipment. The event happens weekly and brings in about 60 individuals. The refrigerated truck has allowed City Fresh to keep produce fresh for longer periods of time. 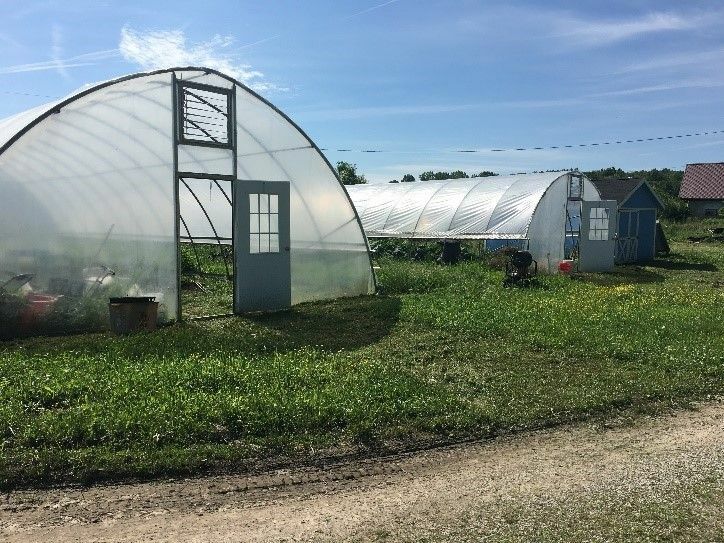 The hoop houses have lengthened the growing season for many types of vegetables that may have previously struggled to grow in the Ohio weather. City Fresh hosts 15 markets a week, every week, all summer long. Produce from the hoop houses is always offered at these events and the produce is always transferred with the refrigerated truck. City Fresh is hoping to continue to grow in the future. They want to give as many people access to fresh fruits and vegetables as possible. In the future, the City of Sheffield Lake is hoping to complete the expansion of their satellite locations. This includes finishing concrete pads, adding pavilions, and potentially installing new playground equipment at other sites. They also hope to expand their youth programs. The Sheffield City School District wanted to increase access to community walking. Their goal was to open up the track after-school hours, while still keeping the space safe and free of vehicles. 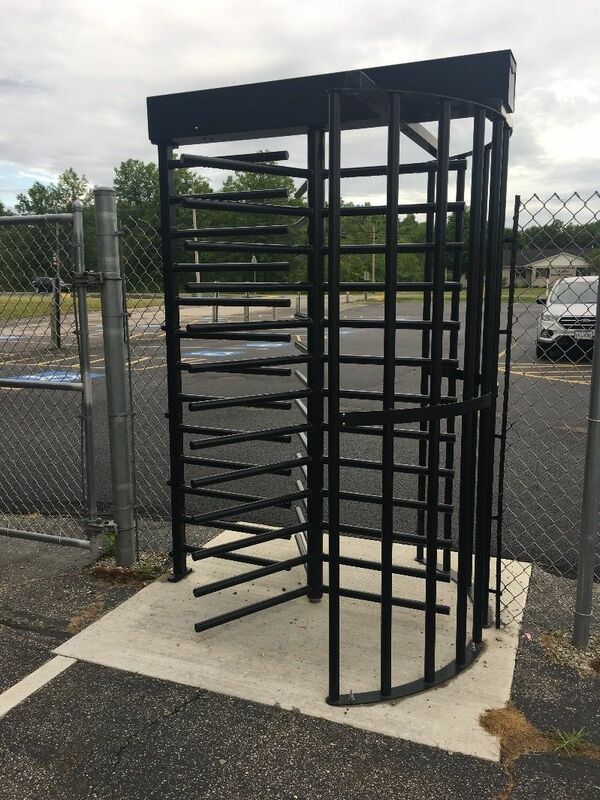 Funding from LCPH was used to purchase a turnstile that would allow people to enter the track area at all hours. Since installation of the track turnstile at Brookside High School, approximately 3,400 individuals have been able to access the track. The community supports the improvements and continue to send in letters, phone calls, and emails expressing their excitement for the turnstile. The school district is currently working on implementing an organized community walk in the track that will increase opportunities to get moving. 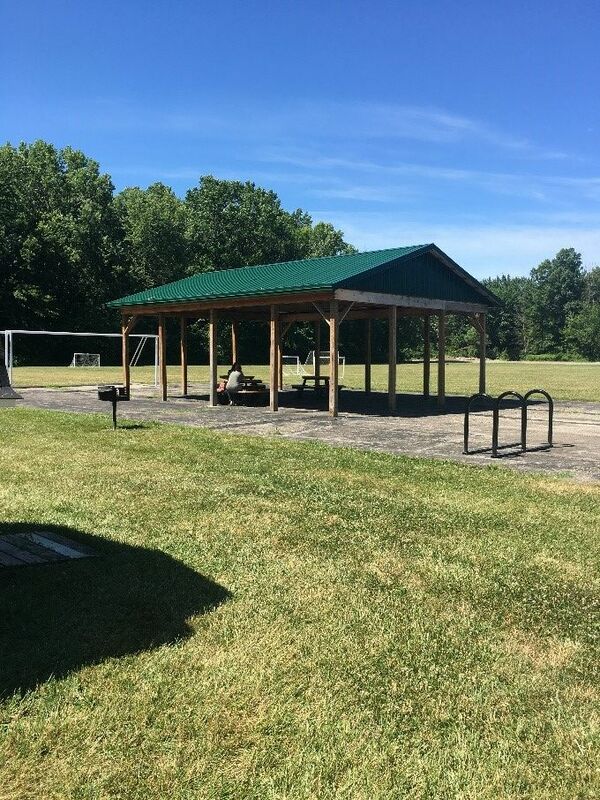 The Village of South Amherst used LCPH funding to make improvements at the South Amherst Community Park. The addition of a paved walking path and a hydration station has given community members a safe place to walk. Additional activities at the park continue to draw in residents. United We Sweat holds Fit Walks at the park and the Village hosts occasional movie nights. The Village of South Amherst is currently seeking more funding to continue improving the South Amherst Community Park. The goal is to finish the walking path and update the playground with new equipment.